Artists often find these “behind the scenes” jobs stressful and time consuming, getting in the way of making music. But I’ve always loved them, and enjoy helping artists keep focus on their art. I’ve produced music from single songs to entire albums, and have years of experience as a recording, mixing and mastering engineer. 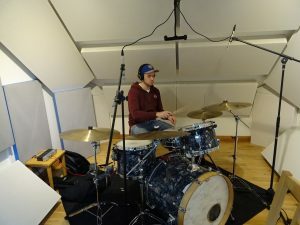 I can also record musicians for other people’s projects – useful with loud instruments like drums, or where excellent acoustics are required, such as vocals or fiddle. My private studio is available exclusively to clients for recording, mixing and mastering. 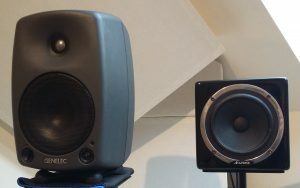 For your next recording, why not get in touch to discuss how I can help? I can also arrange music, assist with song writing and play bass guitar or double bass on request. I was delighted when Liz Jones & Broken Windows returned to my studio and gave me the honour of producing, recording, mixing and mastering this bluesy rock song. A love song about Glasgow and its people. Recorded, mixed and mastered in my studio. XY and ORTF drum overhead micing techniques tend to represent the cymbals louder than toms. I was very happy to come across an approach with a more balanced sound and try it out. Here are the details! Well this is good news – The Liz Jones & Broken Windows debut album has been nominated for the Scottish Album of the Year Award. Ace songs, singing and musicians, and I am really proud to have played my part producing it. Fingers crossed! I love their music, so was well pleased when Liz and the band asked me record & mix their new single here! A day of drum sounds! Gear is the tools that helps us realise our musical dreams. There is bad gear, good gear and great gear. One of the things that defines greatness in my book is longevity – the gear grows with you. It was a pleasure recording & mixing these two wonderful musicians in my studio, the aim being a recording that truly represented their live performance. 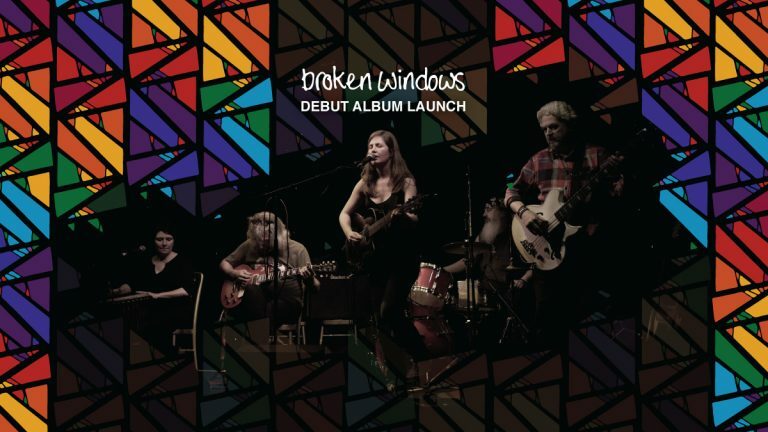 The debut album by Broken Windows is a fantastic collection of songs written by Liz Jones and performed by some of the best musicians in Edinburgh. I feel privileged to have been given the opportunity to produce it, and can’t wait for other people to get the same opportunity to hear and enjoy it as much as I do!